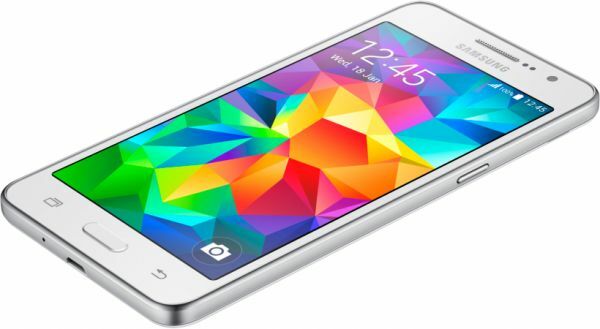 All owners of the Samsung Galaxy Grand Prime LTE variant with the model number SM-G530Y should be running on the Android 4.4.4 KitKat firmware. So long as you are running Android 4.4.4, you can use the guide below to root Samsung Galaxy Grand Prime LTE smartphones using the new rooting method by Chainfire. There are several Samsung Galaxy Grand Prime smartphones for different regions. Your Grand Prime must have the model number SM-G530Y if you are following this guide. Should you follow this guide with the wrong model number, you could brick the device and cause damage. Since rooting voids the warranty on your device, you are left to fix that yourself. That’s usually done by flashing a stock ROM on your device so long as it was a soft brick. Download the Samsung USB Drivers  for mobile phones from the Samsung Developer page. You can find a shortcut to that official Samsung page available from our USB Driver page. You are using the Odin flashing tool during this guide. That means you need to have a Windows computer and the USB Debugging Mode enabled on the mobile device if you are to connect to that Odin app on the computer successfully. Check that the USB Debugging Mode is enabled on your device by heading over to the Menu > Settings > Developer Options > USB Debugging. Download the new CF-Auto-Root tool specially made for your device from here . Download the Odin tool from here . Download both of the above file to your Windows PC; they should end up in the Downloads folder by default. Transfer both of the files from the Downloads folder over to the desktop of the computer. Right-click over each of the files and select the “extract here” option. Once you have done that for both files, double-click and run the Odin app on your computer so it’s open. Start the next part of the guide with your device completely off. Reboot the Samsung Galaxy Grand Prime smartphone in download mode. You can do that by pressing the Volume Down + Home + Power buttons at the same time but only starting from when the device is off. Connect the device to the computer with the USB cable. If all goes well with your USB drivers, the ID: COM port in the Odin app on your computer will change color. If that doesn’t happen, you either didn’t install the drivers properly or your computer needs a reboot. Click the AP or PDA button in the Odin app and browse the desktop for the extracted rooting file. Click the Start button and the rooting will now take place. Soon you will get a pass message from the Odin app and your device will reboot automatically. If your device doesn’t reboot automatically, you can reboot it manually yourself. Now once your device boots up in normal mode you are ready to start installing all of those extra apps you have been waiting for from the Google Play Store.